Up, up, down, down, left, right, left, right. If you’re a classic gamer, you’ll recognize the Konami Code used in popular games as a way to uncover gaming cheats or special effects. And if you attended Content Marketing World last week, you’ll recognize that sequence from trying to find your way through Huntington Convention Center to find your speaker sessions. And even if you’re not a gamer and weren’t able to attend the conference this year, you’re in luck. 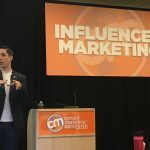 The team at TopRank Marketing has compiled some top tips for powering up your event attendance and our coverage of stellar content marketing sessions from the biggest content marketing conference of the year. 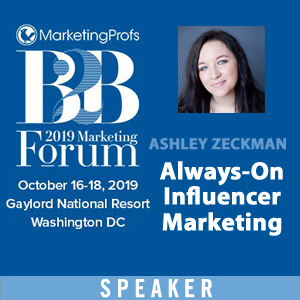 It’s no wonder that Ashley Zeckman, Digital Strategy Director at TopRank Marketing, drew a crowd last week at Content Marketing World: she promised to debunk the prevalent myth that influencer marketing is best suited for B2C brands. Content marketers, just like everybody else, see loads of influencers promoting consumer brands. So, why can’t some of us get over the notion that involving influencers in B2B campaigns isn’t a good fit? Because, as Zeckman puts it, content marketing is difficult. As it stands today, only 50% of marketers believe they’re achieving their marketing goals (Smart Insights). In addition, 75% of blog posts get fewer than 10 social shares, and get zero links from other domains (Buzzsumo & Moz). What’s worse, is that 70% of marketers lack a consistent or integrated content strategy (Altimeter). “The good news about being a marketer in 2018 is that we have dozens and dozens of channels to share our marketing story,” Megan Golden, group manager of LinkedIn’s* global content and social media marketing, said in the opening of her session at Content Marketing World last Thursday. “The bad news about being a marketer in 2018 is that we have dozens and dozens of channels to share our marketing story,” she added. It’s true. We’re inundated with options for trying to reach our audiences these days, making it a challenge to narrow focus and find the right mix. But it’s safe to say that if you work in B2B, LinkedIn has to be in that mix. Hosting more than half a billion professionals, and boasting unparalleled targeting capabilities, the platform is tremendously powerful for those who know how to use it. In a room overflowing with content marketers hungry to find out how to turn a blog audience into a monetizable asset, Amanda Todorovich delivered. 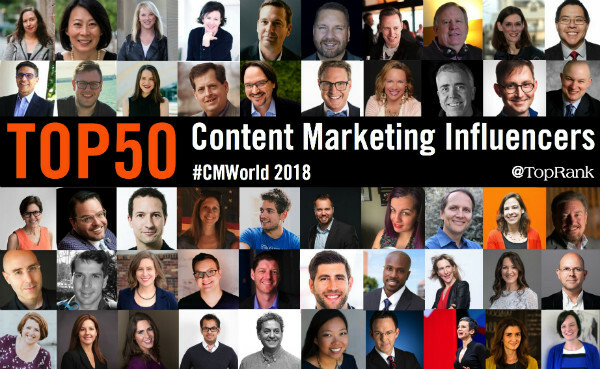 Todorovich, Content Marketing World’s 2016 Content Marketer of the Year, became Director of Content Marketing at the Cleveland Clinic in 2013, when their blog was only six months old and had roughly two hundred fifty thousand views per month. Now, the Health Essentials blog gets six million views per month and is the number one most-viewed hospital blog. 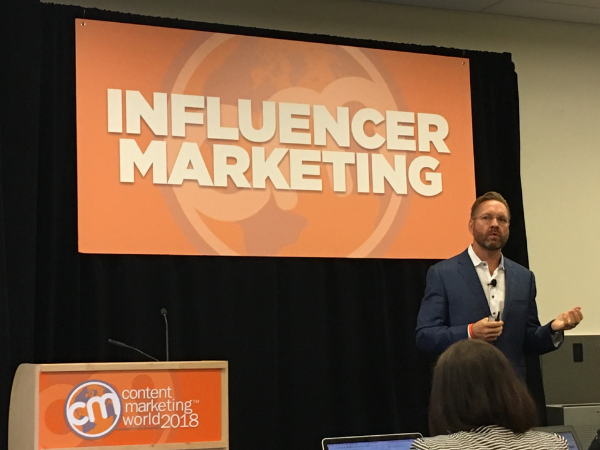 Luckily, understanding the “Confluence Equation,” as broken down by TopRank Marketing CEO Lee Odden at Content Marketing World, is quite straightforward. For modern marketers, it’s also absolutely critical. 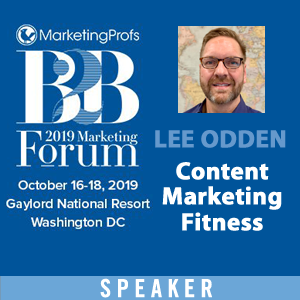 Given the setting where Lee’s session was delivered – a massive conference with thousands in attendance – it goes without saying that there’s plenty of interest in content marketing right now. It was yet another step toward widespread cultural takeover for this burgeoning content hub, which is rapidly expanding beyond its distinction as strictly a host for video game communities. Twitch’s usage numbers, and creative new applications, demand the attention of marketers everywhere seeking to up the ante for audience engagement. In her Thursday morning Content Marketing World keynote, Twitch’s Director of Business Development Jane Weedon shared some eye-opening stats and laid out an ambitious go-forward vision for the platform’s active audience participation model. This statistic, via HubSpot, conveys all you need to know about the opportunity that LinkedIn video presents: Only 38% of marketers are sharing video content on the platform, even though three-quarters rate it as a successful tactic. TrackMaven CEO Allen Gannett is a prime example of what success looks like with this relatively nascent feature. 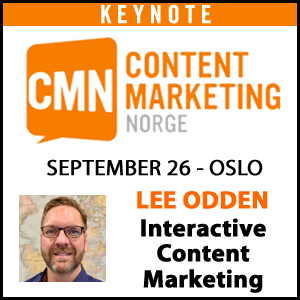 The name of his session at Content Marketing World, “How To: 0 To 1 Million LinkedIn Video Views in 6 Months,” understates achievement, as his videos have now amassed around 3.5 million views – all organic. Fortunately, Allen delivered on the “How To” part, serving up a bounty of practical tips that marketers can apply right now. 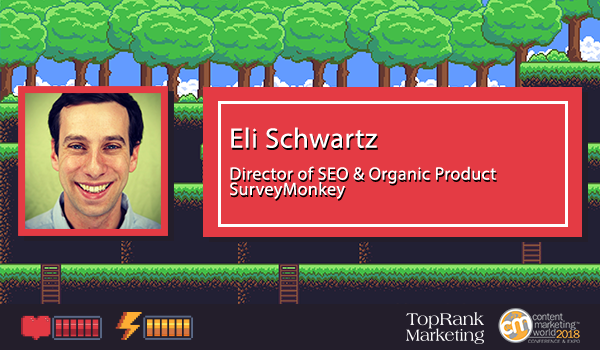 Humans by nature are curious, but that curiosity is facing a very real threat: crappy content. 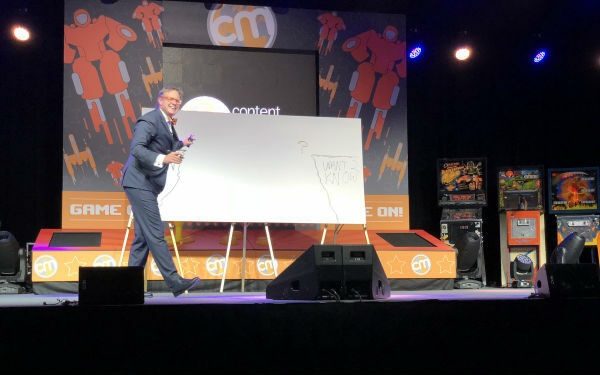 In his opening keynote at Content Marketing World, the amazing Andrew Davis dove headfirst into one of the top challenges all content marketers face today: getting and keeping the attention of their audiences. Conventional wisdom from today’s content marketers is that content should be snackable, scannable and – in a nutshell – short. However, is our content really too long? Or is it that we aren’t building enough curiosity with our audience to keep them engaged? Below we’ll take a look at some of the top excuses we’re using to justify bad content, and the perfect formula for capturing audience attention. 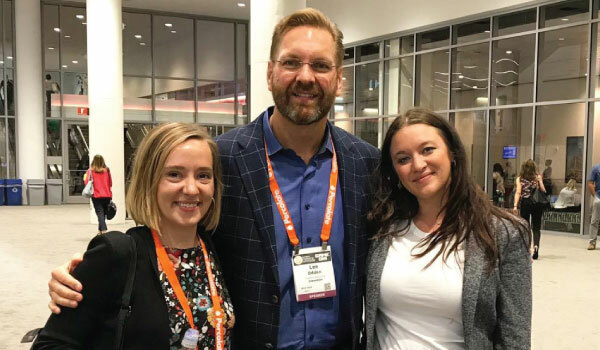 Every year, close to 4,000 marketers from across the globe make a pilgrimage to Cleveland, OH for the annual Content Marketing World extravaganza — the largest content marketing conference in the world. And this year will be no different. 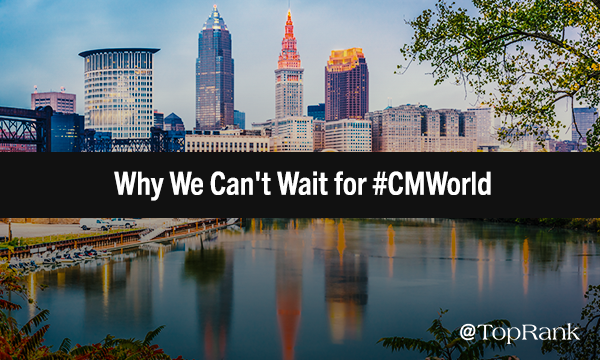 We’ve been attending CMWorld since the inaugural event back in 2011 — and we still get butterflies each and every year. The week’s schedule is filled to the brim with sessions and workshops from the industry’s leading marketers and experts, making it impossible not to look forward to what the conference has in store. But with so many great speakers and a packed schedule, which sessions are a must-see? As CMWorld veterans, we want to help you plan ahead and get a front-row seat to the sessions that help you reach your marketing goals. Check out our list of can’t-miss sessions and things we’re excited for down below. Few things are more inspiring than the before-and-after weight loss photo: two drastically different figures juxtaposed against one another, usually connected by an impossibly short span of time. It’s not just the physical transformation that is striking in these portrayals. Even more so, it’s the mental transformation. Something clicked in that person’s head, causing them to fully commit and make the difficult changes necessary to turn their goals into reality. Then, they did it. Branding expert Tamsen Webster saw this dynamic play out, in various forms, time and time again during her many years as a leader in the Weight Watchers organization. 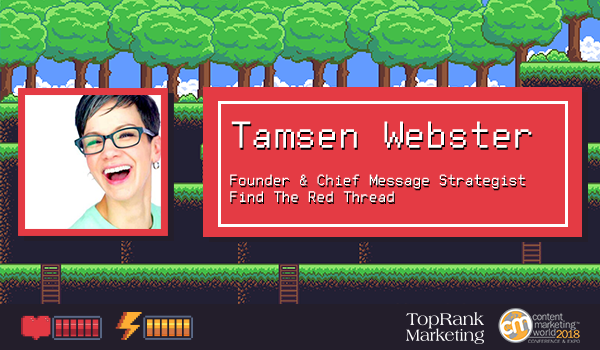 And it’s a big part of what drove her to create Red Thread, a messaging framework focused on tapping into those deep, uniquely human motivations that spark action (or, as she puts it, make inaction impossible).